I’m very conscious that I’ve neglected this blog of late, I suppose you could say I’ve been dormant, like so many things in the garden at this time of year. But to continue with the plant imagery, whilst many things might look as if nothing is going on at ground level, deep beneath the surface it’s an entirely different matter. Roots are working their way through the soil to anchor the plant and microscopic root hairs are seeking out nutrients and moisture in order to kickstart it into top growth as soon as the world above ground starts to offer encouragement. So whilst I’ve not quite been hibernating (if only!) I’ve been attending to tasks that get pushed to the side during the hectic months of the growing season. I’ve been catching up with the decorating indoors, tidying rooms and clearing clutter, making lists and dreaming of Spring. And reading some good books and catching up with TV too – we flower farmers have to make the most of the quiet months! But today I’ve made a start on the new season – I’ve sown my first sweet peas. Many people start them off in November, and when I have a greenhouse or polytunnel I might give this a go – but last year starting in January worked well for me, and so I’m hoping this year will too. I buy my seeds from Roger Parsons – he has a lovely range to choose from, and I select for colour and perfume, preferring the pastel shades but with a pop of one or two vivid pinks and purples just to add an extra element to a bunch. Last year I didn’t sell many to my florists, I will hope to do better this year, but the good thing about that was that I had bunch after bunch to enjoy for myself or give away to friends. So as I look out on to the bleak cold landscape that is my garden I know that with luck and within a few days my first sweet peas will start to put out tentative roots into their compost, and my 2015 growing season will be underway! 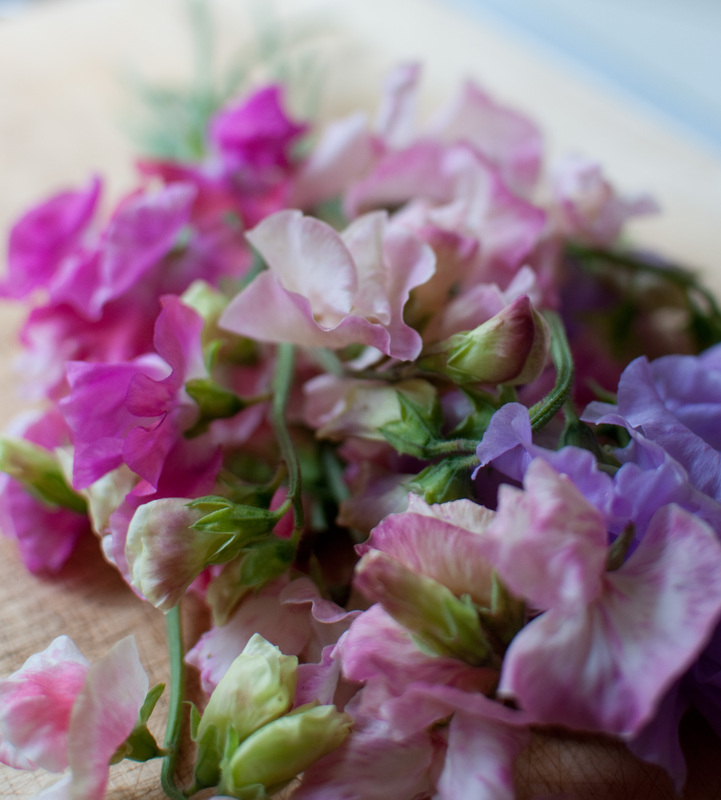 This entry was posted in #britishflowers, In my garden, The Handpicked Flower Company and tagged #britishflowers, outdoors, sweet peas, Winter. Bookmark the permalink.